Home / Unlabelled / HAJJ AT THE EXPENSE OF ANOTHER - RIGHT OR WRONG? 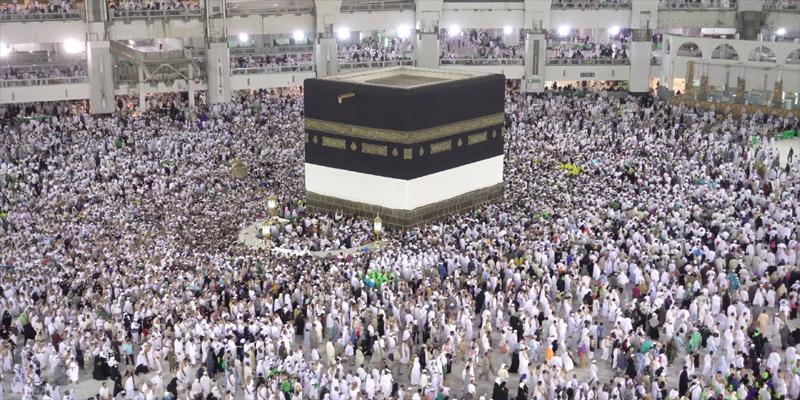 HAJJ AT THE EXPENSE OF ANOTHER - RIGHT OR WRONG? There is nothing wrong with a person doing Hajj at the expense of someone else, whether the other person is his son, his brother or his friend, etc. That does not affect the validity of his Hajj, because it is not one of the conditions of a valid Hajj that the person should spend his own money on his Hajj. The Standing Committee was asked about a woman whose host covered all the expenses of her Hajj – is her Hajj valid? The validity of her doing the obligatory Hajj is not affected by the fact that she has not spent any of her own money on it, or that she only spent a little and someone else paid most of the expenses of her Hajj. Therefore if her Hajj fulfilled the conditions and she did all the essential parts of Hajj, then she has fulfilled the obligation of Hajj, even if someone else covered the expenses. That is permissible and their Hajj is valid, because of the general meaning of the evidence. If a child does the obligatory Hajj paid for by his father’s money, his Hajj is valid. Your Hajj is valid and you are regarded as having done the obligatory Hajj.